Wildflowers remain in abundance with new varieties coming in to bloom as other ones fade. 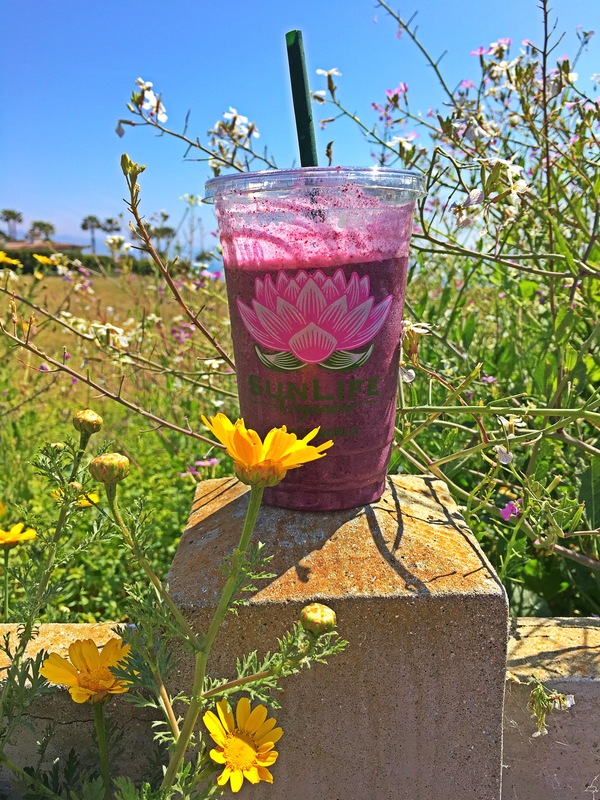 Sunlife Organics is a local fresh juice and smoothie shop on the way in to Pt. Dume. My current favorite is the Vanilla protein smoothie with blueberries. This shake gives me enough energy and stamina to spot and count the sometimes elusive gray whales that migrate along the coast of Pt Dume. Today was a good day with calm waters and blue skies. I counted 22 whales and one cow/ calf pair in 7.5 hrs . All of the whales today were in close and stayed for 20 minutes or more at various stops along the viewing area. One pair of whales were small (yearlings), they rolled and swam over each other playfully for 30 min or more before moving on. Another sighting was a very active trio which stayed 175 yrs off shore for over an hour. One smaller juvenile whale stayed for over two hours changing directions heading north then south, resting several times completely layed flat out on top of the water floating quietly and gliding through the area slowly using its flippers to propel itself rather than the fluke. Several groups of bottlenose dolphins came through northbound and southbound at different times today. The water so clear you could see them moving through under the water. At times they swam with the whales and interacted then moved on quickly.